Busy bees at the Nivea HQs, since the skincare / beauty brand is launching yet another range of skincare products: the Silk Mousse. You can choose from three alternatives, all containing silk extract as the main ingredients, which is know for its hydrating and smoothing qualities. It provides the skin of essential proteins and creates a protecting barrier against dehydration. And last but not least: silk extract is full of antioxidants and amino acids, which looks after the renewal of the skin cells. 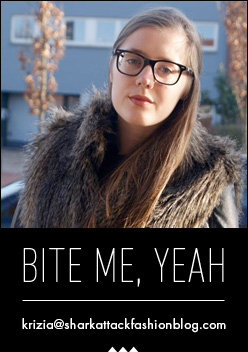 The skin absorbs it quickly, giving it a silky smooth feeling. Read below, after the jump. The Nivea Silky Mousses (200 ml) sell for € 3,99 each. 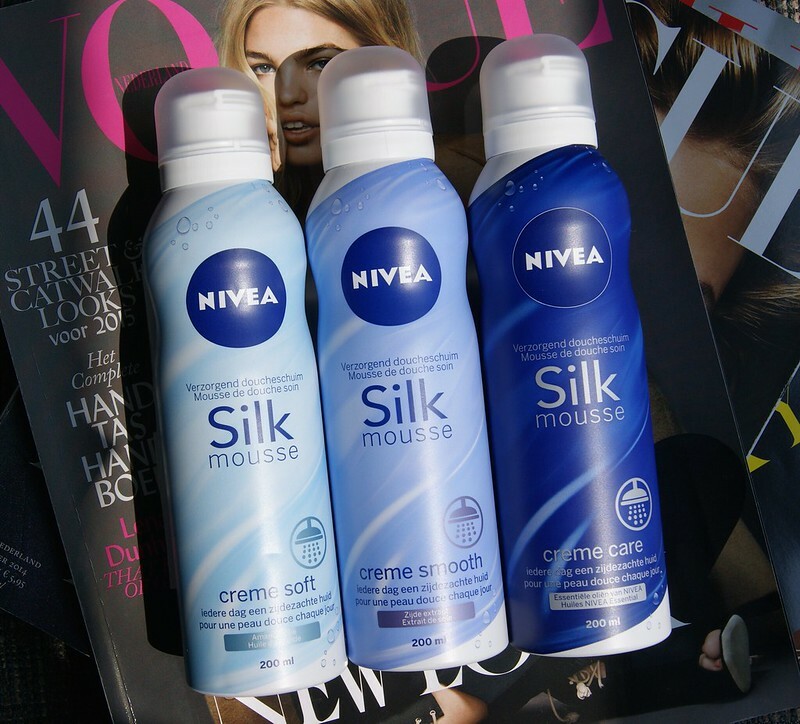 * The Nivea Silk Mousse Creme Soft is a light mousse with almond oil, which provides a soft and flexible skin. * The Nivea Silk Mousse Creme Smooth contains a formula based on silk extract with a lovely flowery perfume. 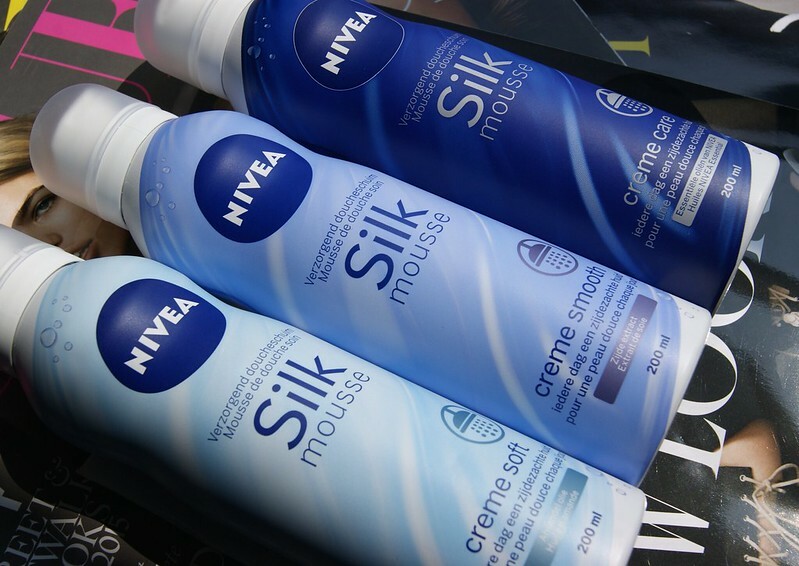 * The Nivea Silk Mousse Creme Care is enriched with the famous Nivea Creme oils, like the hydrating Eucerit, for example. Because of this, its scent is similar to the unique smell of the well known blue Nivea Creme tin. beautiful style i really enjoy it.